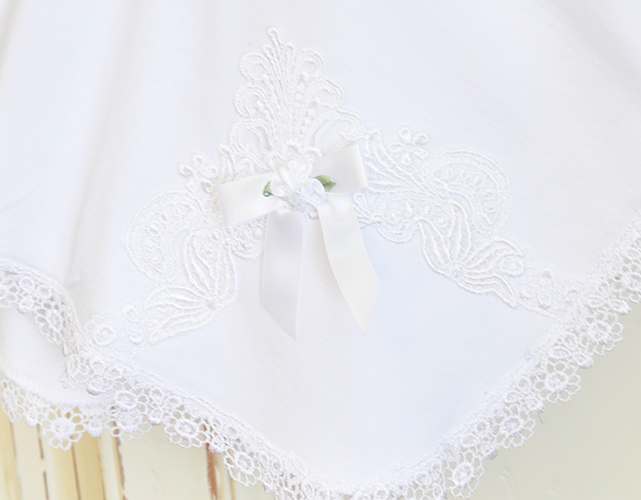 Made to match several different Katie Rose outfits, this new white blanket is simplistic and beautiful! 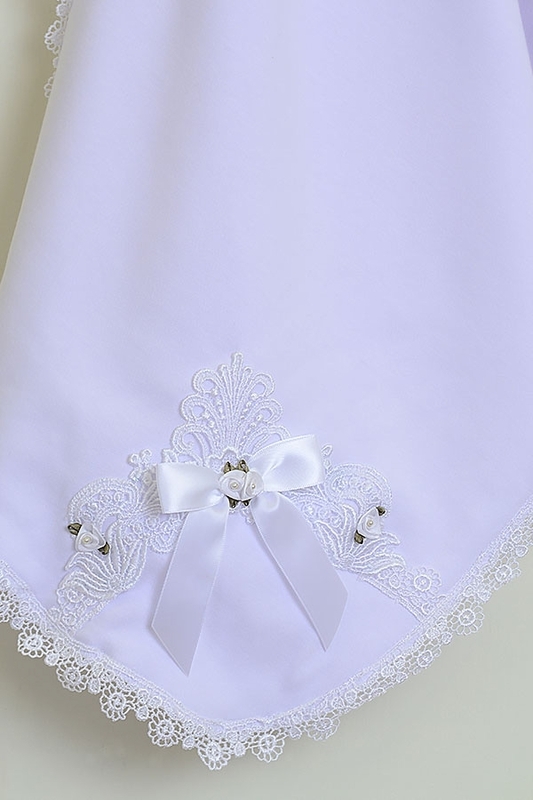 The 36" X 26" blanket features white flower lace trimmings around its edges and a single corner adorned with lace and a small white satin bow. 100% Cotton, Exclusive of Trim. Hand Wash Cold, Lay Flat to Dry. Made in the U.S.A.